Welkom bij De Gevulde Waterkruik en de Calabash Cisterne! 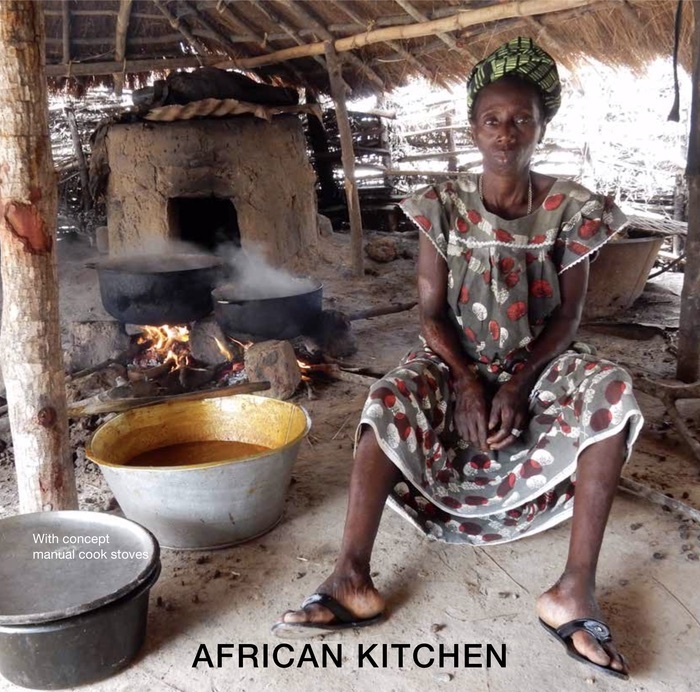 Welcome to our website CLEAN WATER – HEALTHY VILLAGE and the Calabash Cistern! 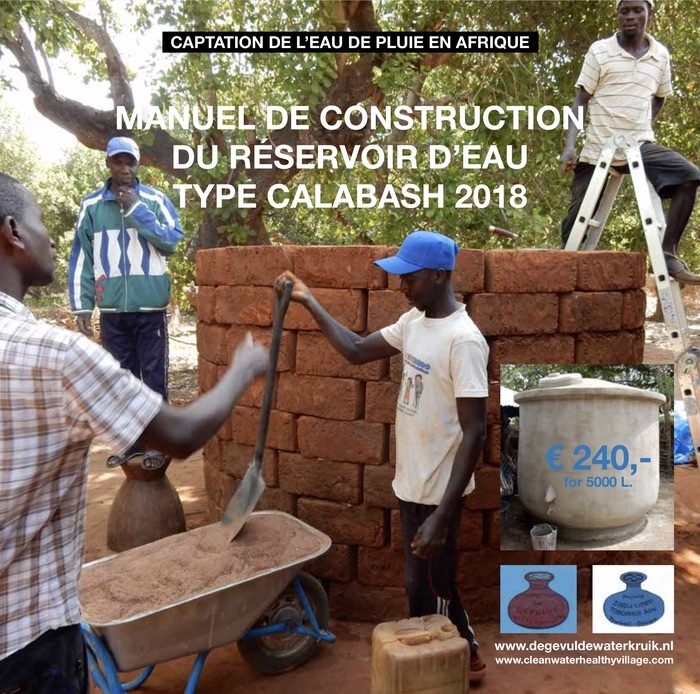 The goal of our project CLEAN WATER – HEALTHY VILLAGE is to support small households in Africa in obtaining acces to safe drinking water by means of Rain Water Harvesting (RWH). 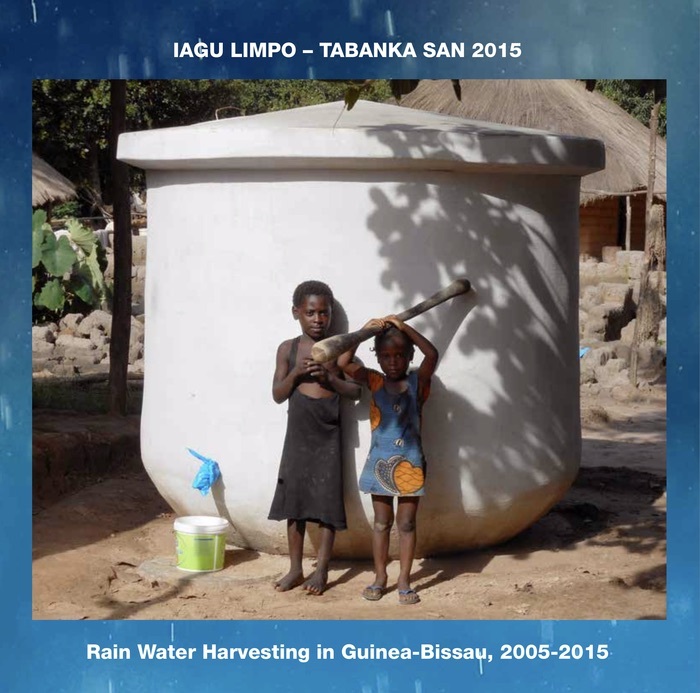 Since 2005 the project has constructed over 4000 cisterns of ferro cement in Guinea-Bissau. Between 2005 and 2014 we have developed different technologies for drinking water cisterns. The Calabash Cistern is our ultimate design. The Calabash Cistern is strong, cheap, repairable and can be made by local masons with locally available materials. Last but not least, the cistern has a beautiful shape! 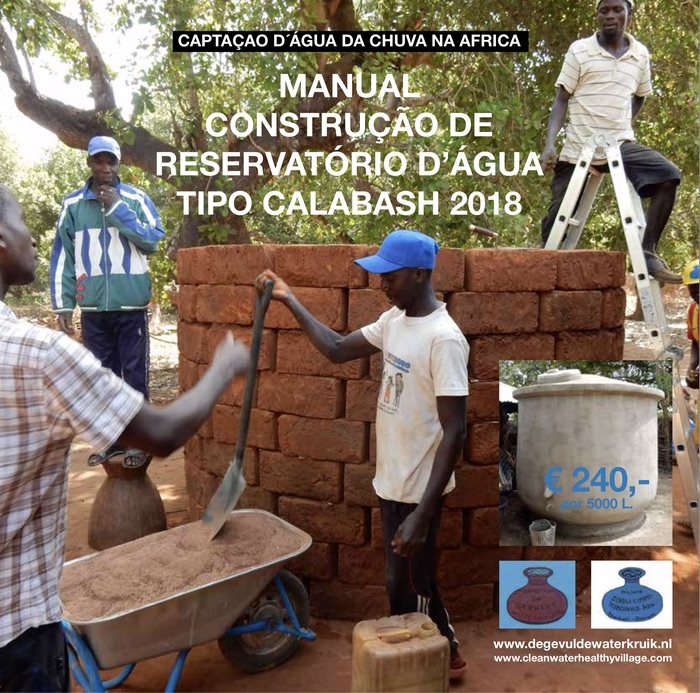 Since 2014 we constructed over 2000 Calabash Cisterns in Guinea-Bissau made of ferro cement with a volume between 5000 L and 10000 L. To spread our knowledge for the many selfsupporting farmers in Africa we organize practical training. We have trained many managers and masons of different projects in 10 different countries on how to construct the Calabash Cistern. 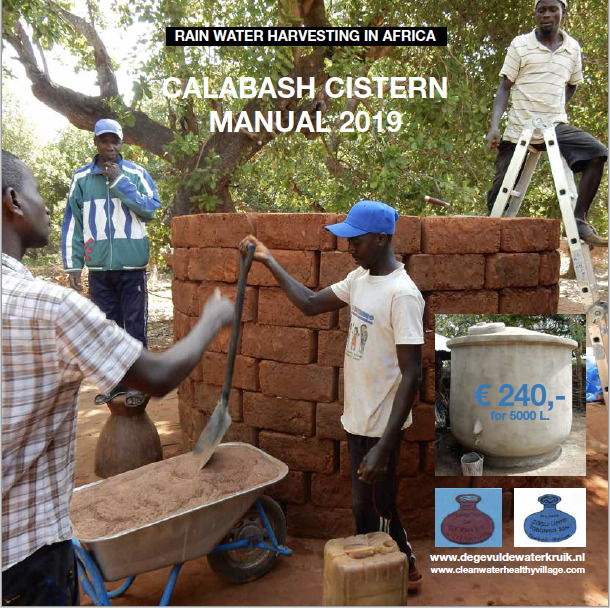 In the booklets below you can find the most important information about the history and the construction of the Calabash Cistern.